I got images from the internet and drew around them on the software we use for our cutting table (Karl). 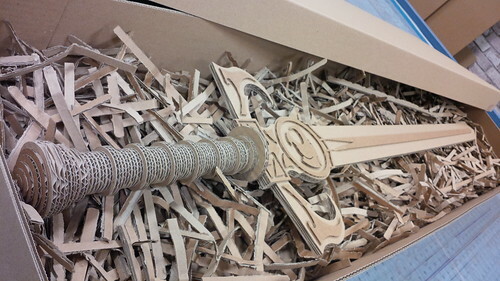 I kept scraps of board from when I made boxes (my day job) and made the sword in parts. 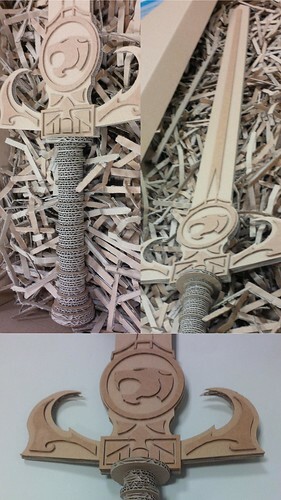 So it wouldn't get damaged while it was hidden I also made a long box for it and used the left bits in the factory for filling.